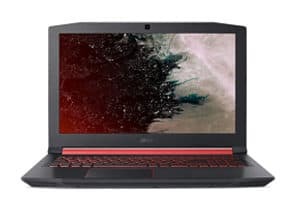 Is It Possible To Upgrade A Laptop GPU Or Change The Processor? What Potential Problems Should I Look Out For? Are There Any Laptops Specifically Made To Be Modular? Your standard desktop machine is designed to have parts swapped out over its lifespan as new components are released. Laptops are a different breed of machine entirely, with modularity sacrificed for greater portability. With so many parts stuffed into such a small space, it’s often difficult to upgrade any one single component. Some notebook computers make this process much easier, and we’ve rounded up the best options from around the web. 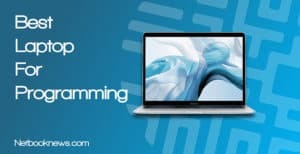 Want to start with a computer on the less expensive side that’s more budget friendly? With a smaller investment at the start, there’s more wiggle room to spend on upgrades later for better specs! When looking for the best laptop for future upgrades, always plan on starting at a lower hardware threshold. You should be willing to have something less high-end now that can become better later. None of the five laptops listed below have extremely high end specs, as that would defeat the purpose. Instead, they stick with middle-of-the-road hardware to save on price. With only a single exception, every laptop in our group of contenders is well below the $1,000 threshold. Your goal here is to get something acceptable now. It can then be made into a true powerhouse down the line, or at least future-proofed against rising minimum specs. Besides just the ability to add more memory, stay on alert for devices with M.2 slots for installing or replacing the SSD. Getting more hard drive space can be a critical upgrade if you have plenty of music or images to store. While choosing a new laptop, keep in mind that ultra thin and super rugged models tend to be the least modular. Due to space constraints, many of those styles of machine have parts that can’t be removed at all. Touch screen models also tend to be restricted on this front. Many of them allow drive upgrades but not RAM upgrades, or vice versa. 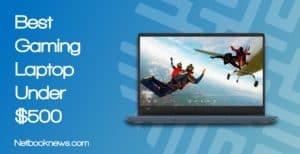 Ready to get started looking for a great laptop that’s easy to upgrade? Let’s dive into the options available! This year, the single best laptop designed for upgrades is the Acer Nitro 5. You get a solid 7th gen processor out of the box and a decent graphics card for gaming options. The Nitro makes major concessions on the RAM and hard drive fronts to save on money, and that makes it perfect for future upgrading. Best of all, the upgrade process is super simple! Want graphical power and the ability to easily upgrade RAM and the SSD down the road? This should be your first pick! When it comes to picking a modular laptop with upgrades in mind, Acer’s Nitro 5 series perfectly fits the bill. You can save a whole lot of money by choosing the least powerful configuration available on this model. While these are low end specs to start, swapping out parts here is an absolute snap. There’s only one single screw to remove for accessing the RAM ports on the bottom. Likewise, the SSD is accessed in its own bottom compartment with only a single screw standing in the way. With a strong mid-range graphics card, this is an excellent compromise machine. It will keep you playing games or performing work tasks for years to come with a few upgrades. Buyers love the price and graphics card, but often criticize the “Industrial” design with its sharp angles. While that looks cool, it also means the keyboard and touchpad are less comfortable to use for extended periods of time. 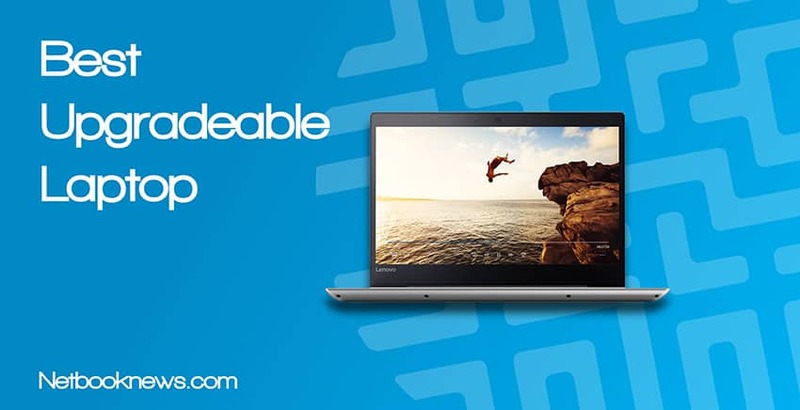 Looking for the flexibility of a portable machine that can be either a flat tablet or a full 90 degree laptop? Lenovo’s latest Yoga model is our best upgradeable 2-in-1 pick on the market today. We need to stress first off that 2-in-1 options are often more difficult to open and upgrade than clamshell laptops. There are more screws to remove, and you’ll need to utilize a guitar pick or sturdy credit card to wedge between the top and bottom of the casing. Once you get inside though, upgrading is a snap. 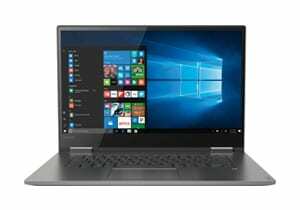 If you want to go the 2-in-1 route, the Yoga 730 is an absolutely stellar starter model because it has so many features already crammed in before you even start upgrading. Besides the rotating hinge and touch screen, you also get a fingerprint reader for security. 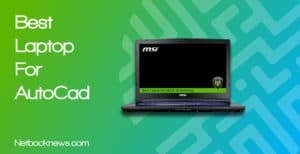 By choosing the lowest end version of his model you can save a significant amount of money and then upgrade later to a larger SSD and more RAM. If you don’t care about gaming but like the versatility of a convertible notebook and want to upgrade in the future, this should be your top pick. Want to play the latest AAA games but don’t have a couple of grand to spend right now on a top of the line machine? The Asus TUF is our pick for the best upgradable gaming laptop that can be future proofed with extra RAM and a bigger SSD down the road. Portable gaming can be very expensive, so if you want to save money by picking a budget unit and upgrading, this can be a very solid pick. 8GB and only 256GB of space are on the low end for gaming devices, but the beauty of this option is that you can expand significantly. With a screwdriver and a couple extra sticks of memory, you can more than double the capacity on both the RAM and storage fronts. This model’s 8th gen i5 CPU will also work well with the latest crop of games, making the TUF an excellent starter pick for gamers who want to upgrade later. You also get quite a few extra gamer-friendly features lacking in other models, like a red backlit keyboard and a handful of free games included in the purchase price. Like the idea of a touch screen but aren’t sold on the 2-in-1 design? 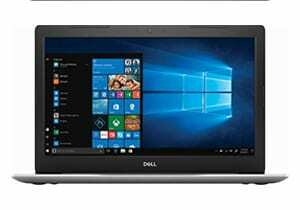 If you like the clamshell style, Dell’s Inspiron 15 series is our pick of the best upgradeable touch screen laptop currently available. For home or officer users, the ability to use a touch screen can come in incredibly handy. A lot of buyers still prefer the old clamshell style over newer 360 degree hinges though, especially if you need a sturdy notebook that’s built to last. When you want a touch screen in a traditional style and have plenty of ability to upgrade, look no further than the Inspiron. This little workhorse of a machine can take up to 32GB of RAM if you decide to upgrade later, as well as up to a full 1TB SSD for fast, quiet operation. This unit actually has slots for two drives inside. That means you can use both an SSD and an HDD if you want maximum speed and storage capacity for the least money. When staying to a tight budget is your main concern, this should be your pick. You get a decent starter system with lots of room to upgrade. 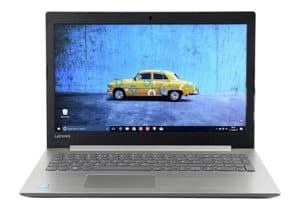 In terms of starting specs, this Lenovo model is easily at the bottom of the barrel. When you are looking to save money now and upgrade later however, that might be a perfect fit. You can’t upgrade the graphics card, so this will never be a high end gaming rig. That being said, you can still get a solid machine here by replacing the RAM and throwing in an SSD. The procedure here is slightly more involved than the other contenders, but still fairly simple. There’s one screw to slide out the optical drive, then eight screws to pop off the bottom cover. A small silver covering must be removed to reach the RAM, but the hard drive is immediately accessible. For buyers, the big draw here is the low price that still offers 8GB of RAM to start instead of 4GB. They do often mention that the power cord is quite short however, so you may want to buy a longer aftermarket cord. In most cases, the answer to this question is a simple and resounding “nope.” Laptops with upgradeable GPUs are quite rare. In order to give you so much power in such a tight space, major concessions have to be made in a notebook’s design. They simply aren’t intended to have easily swappable primary components. Laptop motherboards use a different form factor on their processors and graphics cards than a desktop. In many cases, these components may even be soldered directly to the motherboard and can’t even be removed. There are only a handful of exceptions with a few brands (noted below). In the vast majority of brands and models, however, you just simply can’t replace or upgrade these parts. For most users, the RAM, hard drive, optical drive, and CPU cooling paste are going to be the primary components to upgrade over time. 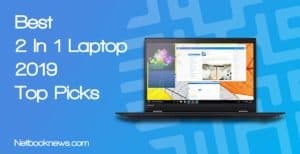 There are some major pitfalls to be aware of when trying to find a laptop with hardware upgrades in mind. Pay very careful attention to the system specs, and even try to verify those specs direct with the manufacturer if necessary. Descriptions on reseller sites like Amazon, Newegg, etc. aren’t always 100% accurate. First and foremost, verify the maximum amount of RAM that the motherboard can handle. Be sure to also find out how many sticks of RAM the current device features out of the box. For instance, a laptop might have one 16GB stick, or it could have two 8GB sticks. The latter will be twice as expensive to upgrade to 32GB, since you will need to buy two 16GB sticks instead of just one. Keep in mind you can also upgrade laptops in other ways beyond just internal components. For more functionality, you could also add a USB hub for extra ports, or an external card reader. Most laptops from big name companies are designed to save space by cramming in as many components as possible in a tiny area. Upgradeability is always an afterthought in the design. There are a handful of manufacturers who specifically build notebooks with upgrades in mind, such as Eurocom. These manufacturers utilize standard desktop socketed processors rather than mobile equivalents. That means nearly every part can be swapped out, unlike with the typical notebook. Their laptops don’t tend to look as flashy on the outside as brands like HP, Dell, etc. but they have greater upgradeability. The only downside is these manufacturers don’t often offer products through the usual electronics websites. Amazon, Newegg, TigerDirect and so on will usually only have a handful of models available, and they won’t typically be the newest offerings. No matter what brand you go with or buying outlet you choose, always head over to the manufacturer’s website before making a decision. Most manufacturers have manuals online that show the specific method for accessing the RAM or hard drive. You want to make sure the process will be simple and you have the right tools ahead of time. With some devices this is incredibly easy, only requiring you remove a single screw. Other designs require taking off the entire keyboard and removing several other components first. These five upgrade-focused laptops will meet any price range for any type of computer user. 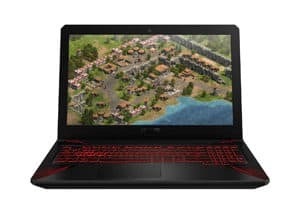 Whether you are a die hard gamer or just need a portable computer for work or school, one of these options will fit your needs. 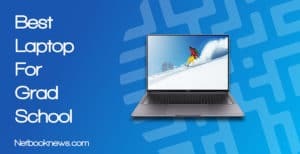 What did you think of our picks for the best upgradeable laptop this year? Let us know your thoughts in the comments below!